Surely you’ve visited Bookish and wondered, ‘who writes this crap?’ Perhaps you saw a post that had a missing “the” or a sentence with a subject-verb agreement issue. Yep, I’ve spotted those too. Given you are a bookish audience, you’re likely also familiar with Hunter S. Thompson and his “gonzo journalism.” In a complete misappropriation of the term, I often think of and refer to my blogging activities as gonzo blogging. Ideally, a piece of writing goes through some amount of editorial work before it is published. The piece is drafted, revisited, copyedited, and scheduled for publication. Usually there is at least one reader aside from the writer. The longer it takes from first draft to publication, and the more eyes that see it, usually the more polished the final piece can be. More often than not, Bookish posts tend to get written in minuscule pockets of time, and published almost immediately. If I revisit the post hours or days later, copy problems will often jump out at me and I’ll fix them. That’s the magic of the internet: once something is “published,” you can change it pretty easily. 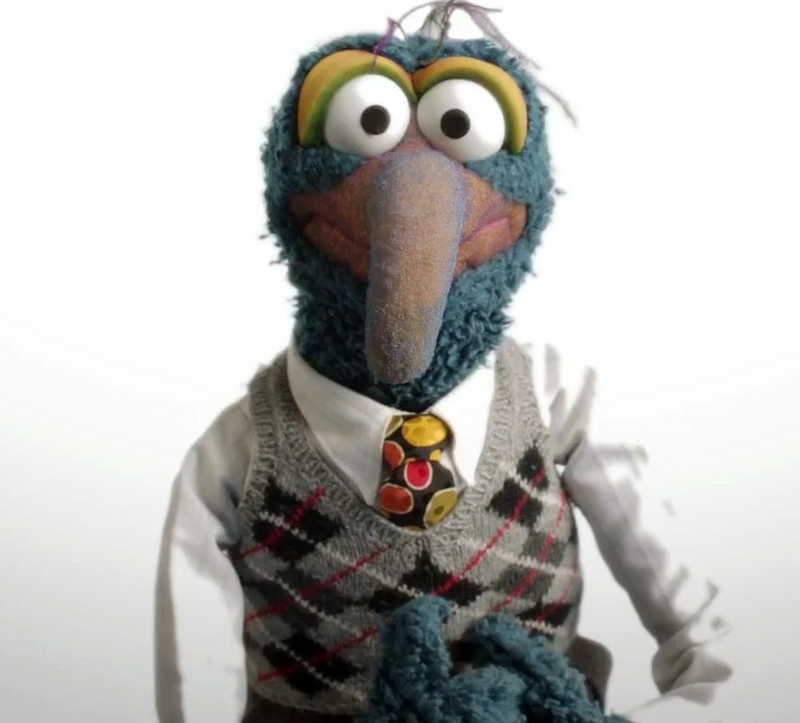 Why are we all about gonzo blogging here at Bookish? Like the little blue guy above, I like to throw myself whole-heartedly into an idea when real inspiration strikes (“lunatic daring”), but there’s usually not a lot of time. If the inspiration has passed by the time I’m able to sit down and work, I usually write about something else. (Or watch IT Crowd videos on YouTube.) But if I do have a pocket of time, watch out! Over at Bikish I recently wrote a piece about the death of Working Kirk Reeves (aka “trumpet guy”) in about an hour. Blogging is also a way to continue developing my non-professional writing skills, and promote projects I’m working on. Perhaps someday my blogging will need to step it up a few notches as the audience builds, but for now launching my motorcycle into the rafters at a moment’s notice is just fine by me.